A sand mine in Blair, WI. Photo by Lukas Keapproth/Wisconsin Center for Investigative Journalism. A state permit to allow an out-of-state company to destroy a rare wetland in order to build a frac sand mine in western Wisconsin has been invalidated by a judge. The sand-processing plant, which would be located between Tomah and Black River Falls, is sought by Meteor Timber, a company owned by Atlanta, Ga.-based Timberland Investment Resources. The project would destroy about 16 acres of a wetland filled with rare white pine and red maple. State Administrative Law Judge Eric D. Défort ruled last week that there were numerous instances where the state Department of Natural Resources (DNR) lacked the necessary information to approve the wetlands permit for the project. The company said it was still interested in developing a frac sand facility, and the DNR said it was reviewing the judge’s decision. The legal challenge was brought by Midwest Environmental Advocates, Clean Wisconsin, and the Ho-Chunk Nation. 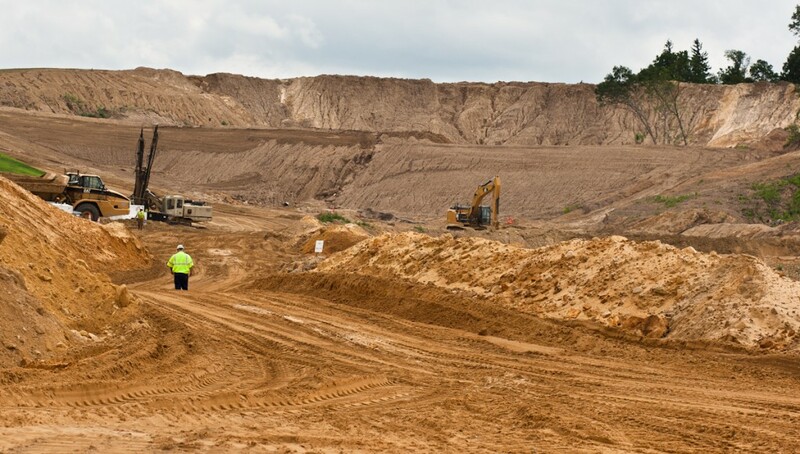 Last February and March, the Republican-controlled Assembly approved amendments to two legislative proposals unrelated to the frac sand mining project that would have allowed the company to fill in the wetlands despite this ongoing legal challenge by environmental groups. But those efforts died after the Senate declined to approve the amendments. Timberland Investment Resources made a $12,000 corporate contribution last July to the state Republican Party, but neither Meteor nor Timberland employees have contributed to current lawmakers or Republican Gov. Scott Walker. Attorneys for Weld Riley, an Eau Claire law firm that represents Meteor, contributed about $33,600 to legislative and statewide candidates, including $21,750 to Walker between January 2010 and December 2017. John Behling, of Eau Claire, a Weld Riley attorney, was appointed by Walker to the University of Wisconsin System Board of Regents.